Your favourite gadget magazine has a starring role in Sony's new portable Little Big Planet game. 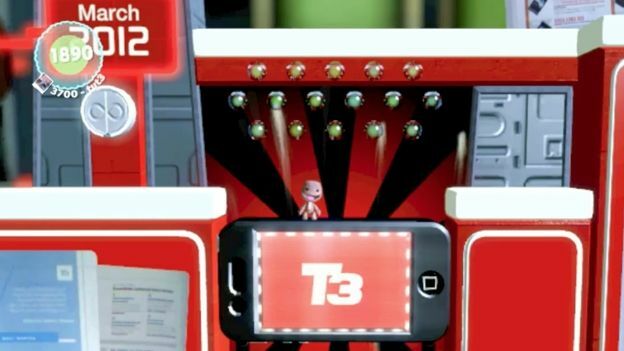 T3 has worked closely with the game's main developer, Tarsier Studios, to create a custom level commemorating our most successful year of all time, not to mention the launch of Little Big Planet on Sony's PS Vita handheld. The level will be accessible and playable the world over on the LBP Community when Little Big Planet PS Vita launches on September 21st. Matt Hill, T3's deputy editor, says: "Mark Hall and the guys at Tarsier Studios are magicians. We're huge fans of Little Big Planet on the Vita at T3 and as soon as we got our hands on preview code, we knew we wanted our own level. Unfortunately, if left to me it would have been full of photos of my cat, so I thought best to get the professionals in and it's been a fun process over the last week or so. "I've long admired PlayStation's E3 keynote in 2008, in which Media Molecule used the original Little Big Planet to make statistics and figures enjoyable, and wanted to capture the essence of that. We've had an amazingly successful year and we wanted to squeeze that all in, but it was vital that it was fun to play, too, and Tarsier nailed that completely." Read the full review of Little Big Planet PS Vita here. The PS Vita is nominated for three awards at the T3 Gadget Awards.